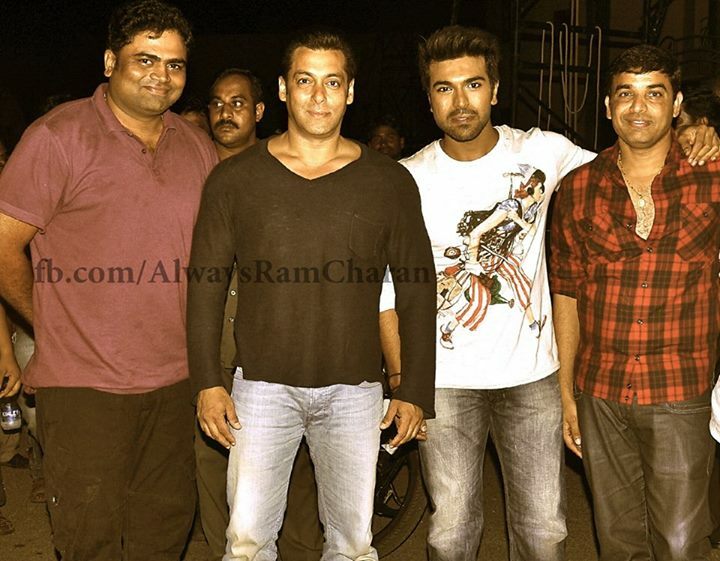 Bollywood Super Star Salman Khan has visited Ram Charan on Yevadu Sets. Freedom song shooting canning on Ram Charan. Salman visited the shooting spot and had a friendly discussion with Ram Charan. Ram Charan posted this picture in his Official Facebook page ( www.facebook.com/AlwaysRamcharan ) and expressed his happiness. Yevadu was directed by Brindavanam fame Vamsi and produced by Dil Raju. You can catch Raju & Vamsi.